A Waffle On Special with the Ladies from Anomaly Podcast This months podcast is a extra special show. 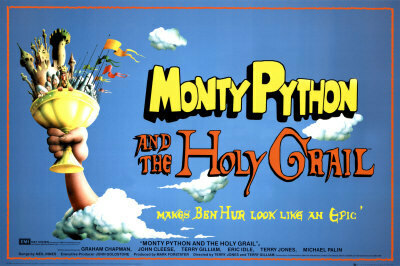 Meds and Kell are joined with Jen and Angela from the brilliant Anomlay podcast and they discuss Monty Pythons second film, the 'Epic' Monty Pythons Search for the Holy Grail. The podcast is packed with clips from the film and listener comments. Its a long show this one my friends but it is well worth it. Full of facts and trivia, quotes and of course some classic off tangent chat in true Waffley style. Anomaly Ladies You have to listen to this awesome podcast presented by Angela (on the left) and Jen (on the right). Its dedicated to all things geeky, they chat about Sci Fi, films and TV shows, books and gaming. 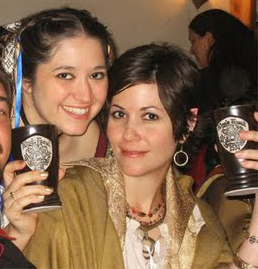 You can find them at www.anomalypodcast.com or of course head to itunes and find them there.